I really appreciate a well curated and decorated bar cart in a home. If you're a person who loves to have people over and host parties, a well stocked bar cart can be your best friend. 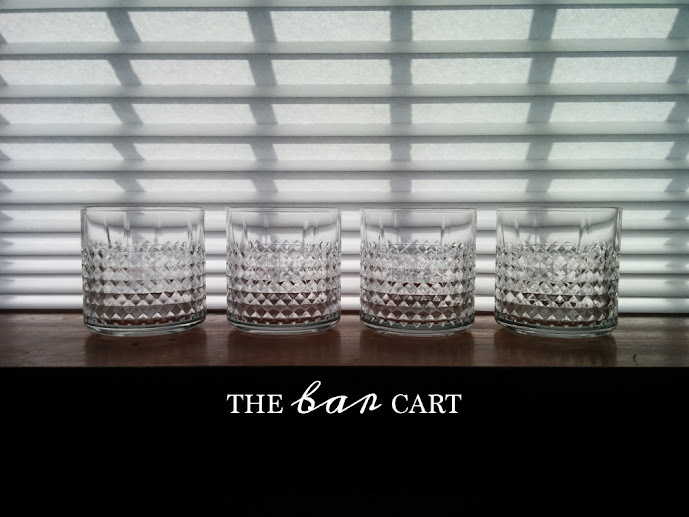 My bar cart is definitely a conversational piece, and people frequently comment on the items that live on the cart. I'm always on the lookout for beautiful accessories to add to the cart when I'm out shopping. Even if you're not a frequent drinker, you can still display your collectibles on it or even make it both an alcoholic and nonalcoholic beverage bar. A bart cart is all about the accessories, but it's also about housing the types of spirits you like to enjoy. If you're more of a wine drinker, there are bar carts that have built in bottle and wine glasses holders. On the other hand, if you enjoy liquor more, you won't benefit or need the built-ins. 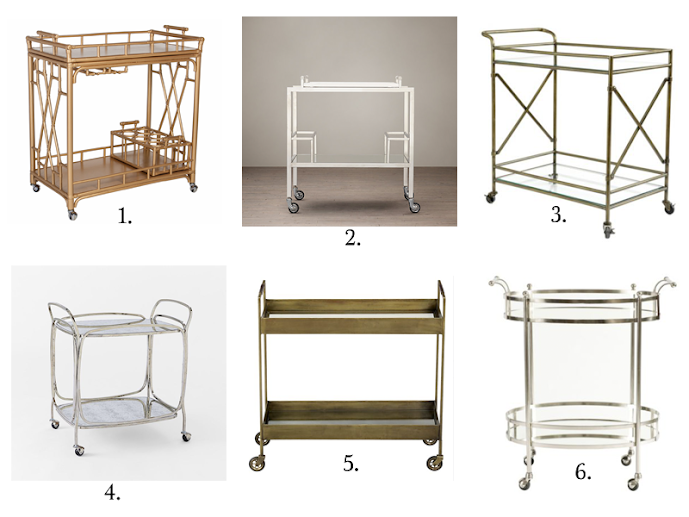 Typically bar carts come in silver or gold. If you gravitate towards gold like I do, keep in mind it's harder (and hence usually more expensive) to find gold bar carts & bar accessories. 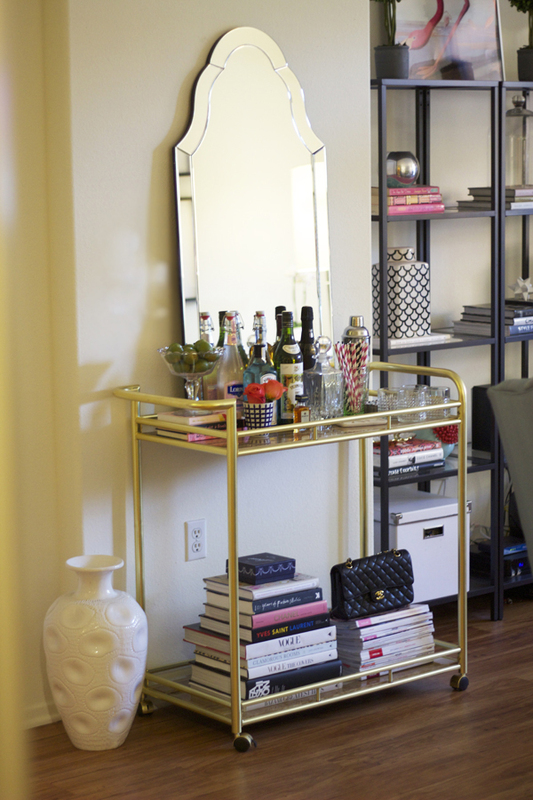 However, if you're up to DIY, you can always paint a bar cart gold.